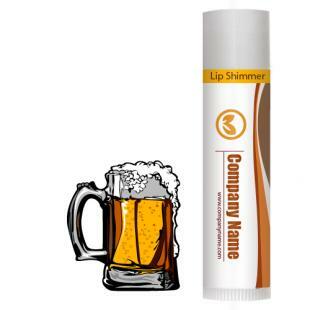 This promotional root beer lip shimmer w/white tube cap sends users crazy with its tantalizing root beer flavor. Root beer remains one of the favorite beverages throughout America and it is one of the must-haves while you grow up. This lip balm tickles your taste senses, heals your dry and chapped lip skin, cosmeticizes your dry lips and boosts your confidence. Health Quotient – Root beer flavor. PABA free. FDA approved. Harsh quality or quantity enhancers or manipulators are totally avoided. Comprises natural, semi-synthetic and synthetic ingredients – in their original form. Cruelty-free. Hypoallergenic. Directions – Slip root beer lip balm over dry lips to avoid cracks or burns. Use it regularly to achieve fresh texture. Gifting Favors – Promotional root beer lip shimmer w/white tube cap can be gifted during kid’s events or youth festivals. This lip balm can be offered as add –on with some gifts or it can be handed out as a greeting token or parting token at the end of an event.